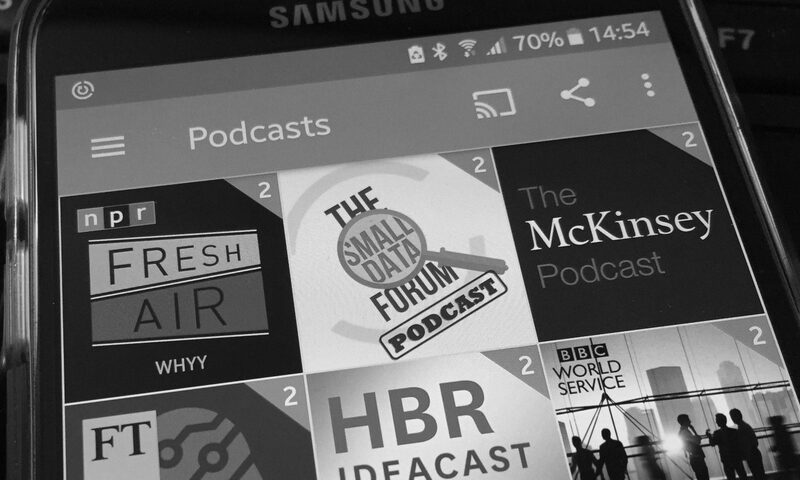 Our latest Small Data Forum podcast focuses on recent surprise political outcomes and the mechanisms at play: the psychology of predictions, the new phenomenon of fake news, echo chamber effects and the way data was analysed and interpreted. Recent expressions of democratic political will – the UK referendum on EU membership, the US presidential election – have surprised most observers and commentators. Both outcomes, ie Brexit and Trump, were not what most of the polling data indicated. This episode of the Small Data Forum is asking whether we should and could have seen this coming. Together with Sam Knowles of Insight Agents and Neville Hobson of IBM Social Consulting, I’m looking at some of the mechanisms at play: the psychology of predictions, the new phenomenon of fake news, echo chamber effects in the way people consume and share information, the way data was analysed and interpreted. Were the wrong questions asked? Are there better, more reliable ways of asking questions in order to get to more robust and reliable answers? And would those answers lead to more accurate predictions of outcomes? As academics, professional communicators, political commentators and others are trying to put the recent developments in context, to understand the future of our information economy and ecology, the Small Data Forum will continue to highlight and explore some of the big and small issues that big and small data both raise, and address.